by James, Who HQ Buckley Jr.
As young boys, Orville and Wilbur Wright loved all things mechanical. As young men, they gained invaluable skills essential for their success by working with printing presses, bicycles, motors, and any sort of machinery they could get their hands on. As adults, the brothers worked together to invent, build, and fly the world s first successful airplane. 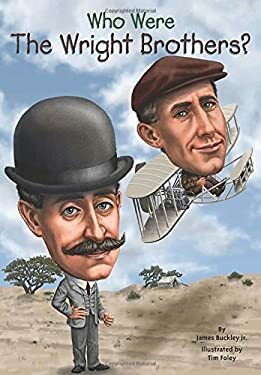 This is the fascinating story of the two inventors and aviation pioneers who never lost sight of their dream: to fly, and to soar higher "